Every year, tens of thousands of runners from around the world descend on the five boroughs to participate in the ING New York City Marathon. This year’s ESPN coverage of the event changes the way we experience the big race from our living rooms. To track the progress of the race, ESPN and IMG Productions have teamed up with Google Maps to bring fans real-time locations of leading runners. We’re equipping ESPN and IMG Media’s film crew traveling by bike with Nexus smartphones displaying runner locations on a live map. 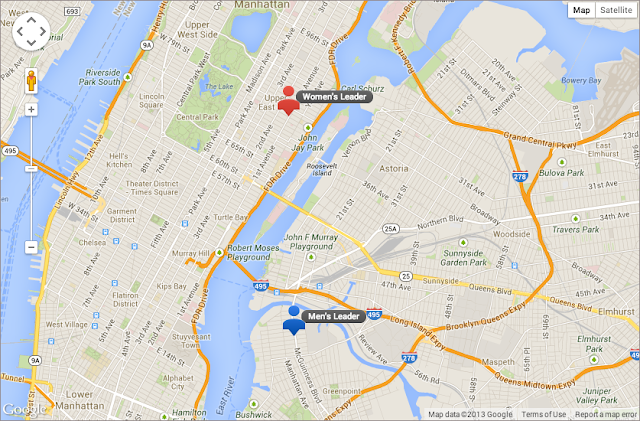 ESPN’s map broadcast is made possible by Google Maps Coordinate, a tool that gives organizations real-time visibility into the location of mobile teams. To see the map, tune in to ESPN today and follow all 26.2 miles of the race. And good luck to everyone participating in this year’s marathon!